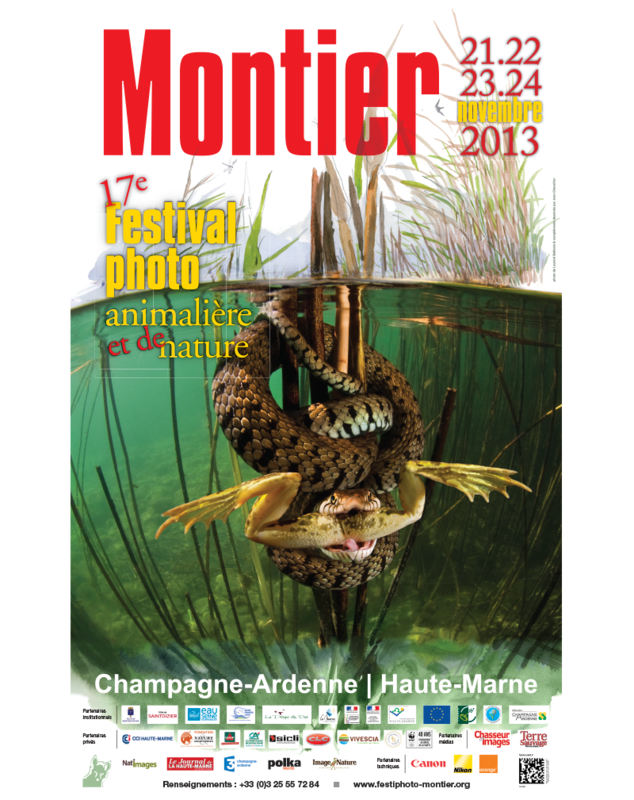 The Montier Photo Festival started over 21 years ago when a group of friends with a passion for photography and wildlife decided to organize a fair showcasing the prestigious « Wildlife Photographer of the Year » competition exhibition – then organized by the BBC Wildlife Magazine and the London Natural History Museum – the world’s most important competition for wildlife photography. This first event welcomed about 4,000 visitors in 2 days. 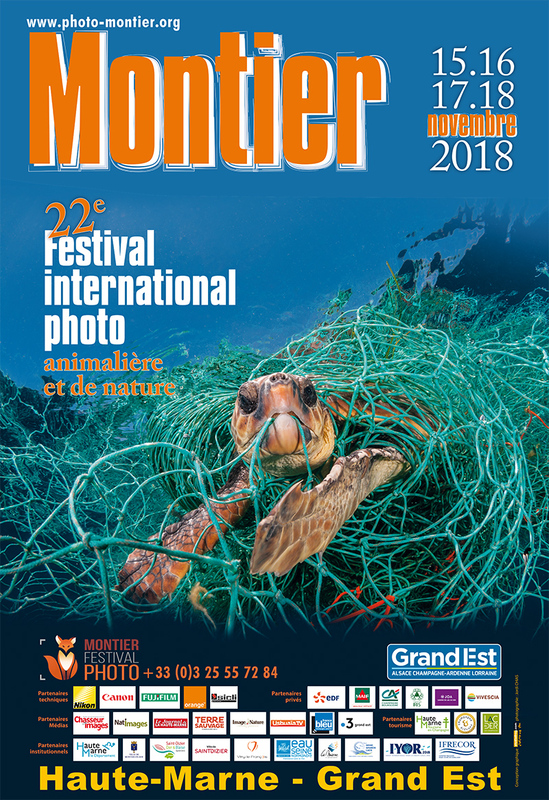 One year later the « fair » turned into a « festival ». 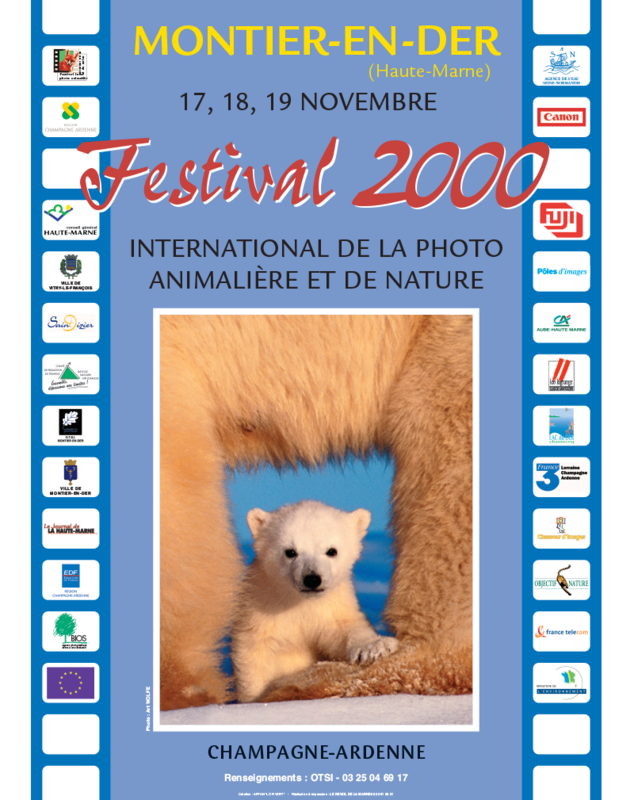 The Organization for the Wildlife and Nature Photo Festival (i.e. 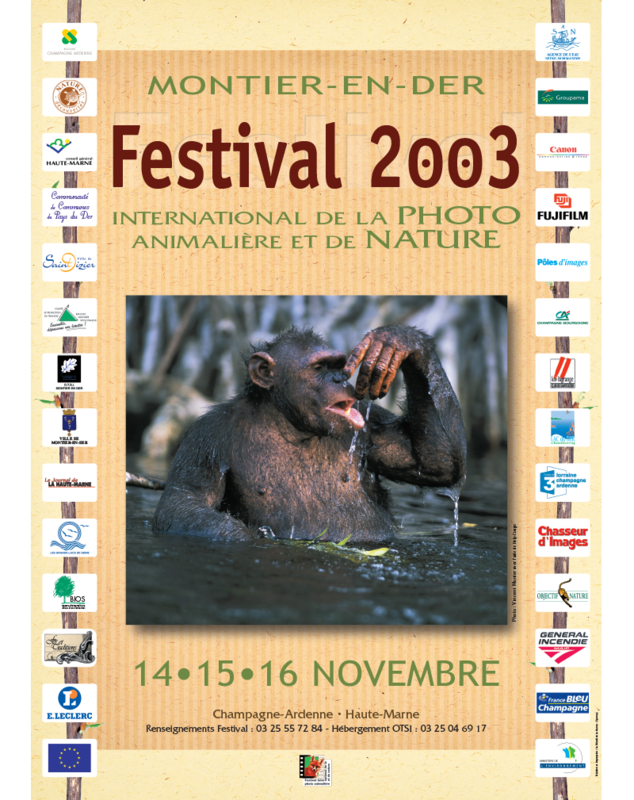 AFPAN « l’Or Vert ») was thus founded. 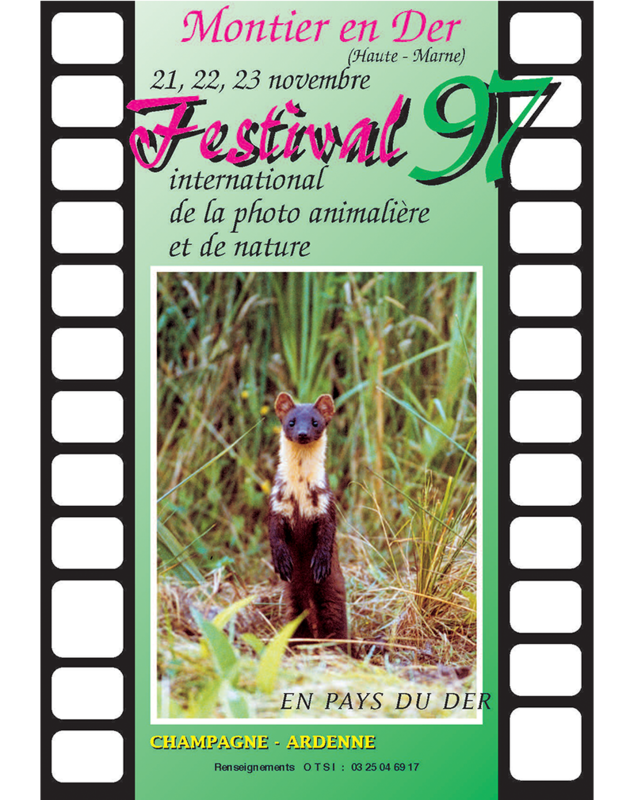 The festival has quickly become a must-attend event for both amateur and professional photographers as well as nature lovers and the general public. 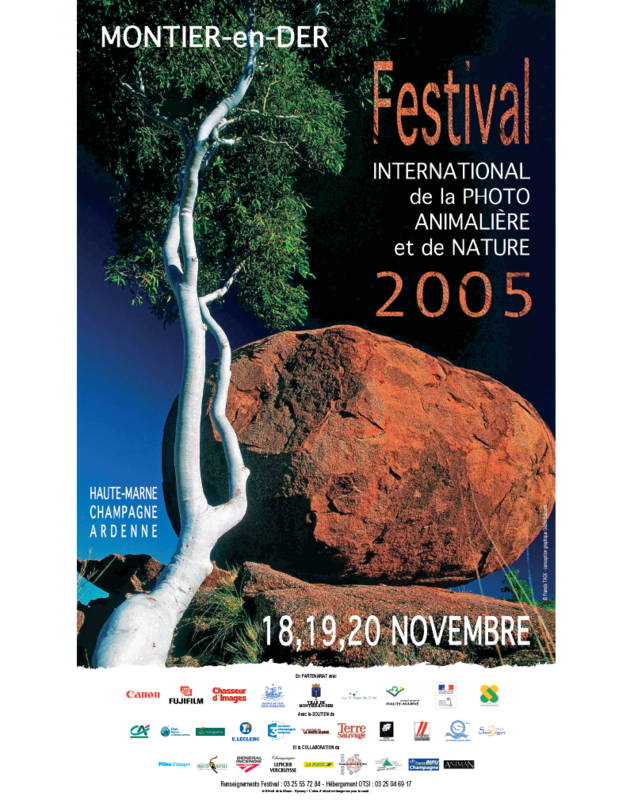 Every year, key figures from different fields are invited to be patrons of the festival, such as Allain BOUGRAIN-DUBOURG, Yann ARTHUS-BERTRAND, Hubert REEVES, Nicolas VANNIER, Matthieu RICARD, Isabelle AUTISSIER, Dr Bindeshwar PATHAK, Gilles BOEUF and Louis ESPINASSOUS. 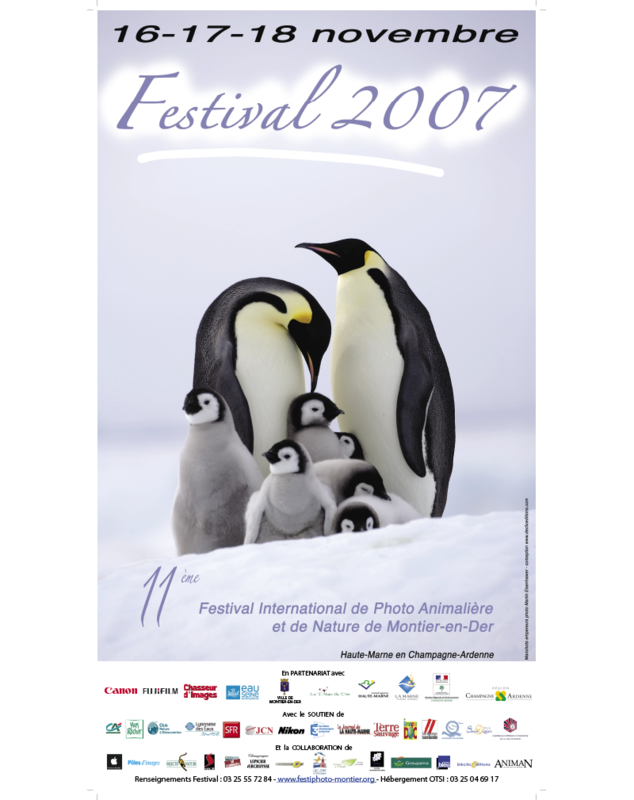 The festival also welcomes outstanding French and foreign photographers such as Vincent MUNIER, Jim BRANDENBURG, Frans LANTING, Steve WINTER, James BALOG and recently Kyriakos KAZIRAS and REZA. 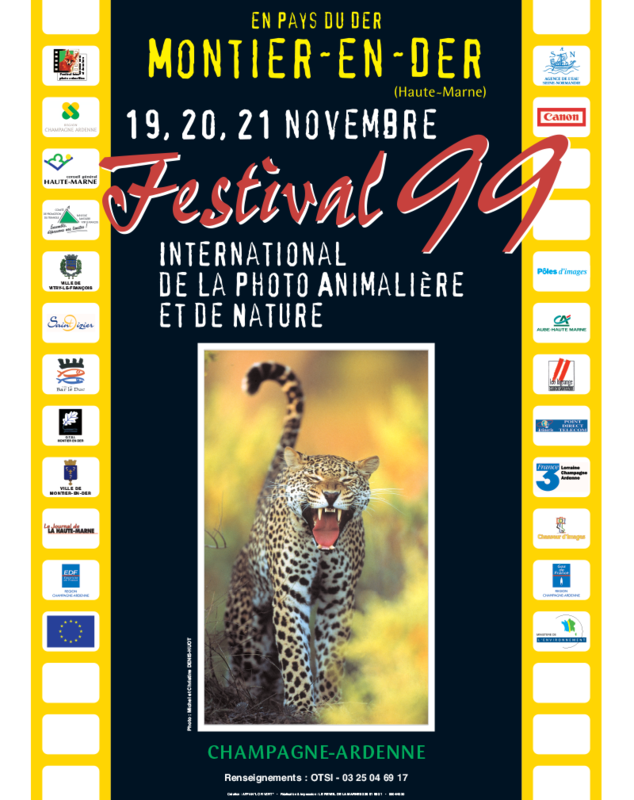 1st Wildlife Photo Fair showcasing the 1995 « Wildlife Photographer of the Year » exhibition (BBC competition). 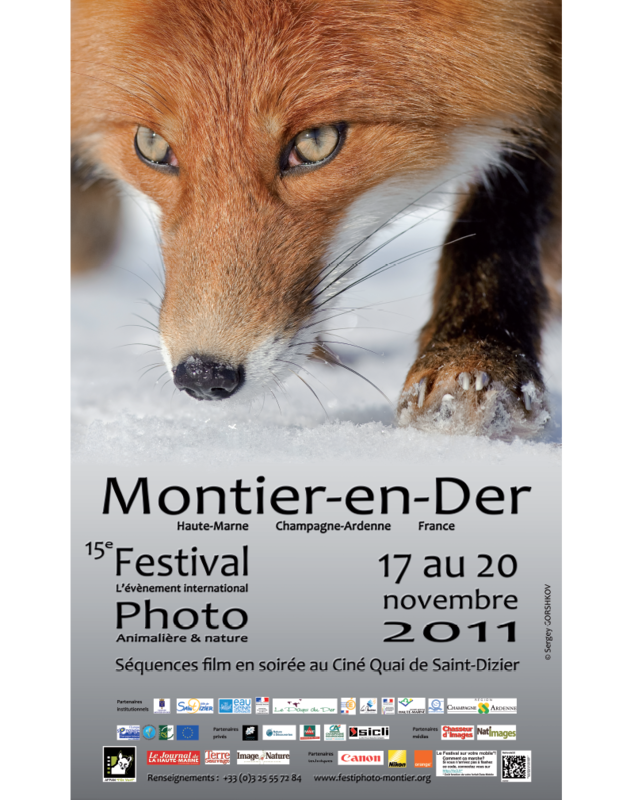 1st International Wildlife Photo Festival of Montier-en-Der. 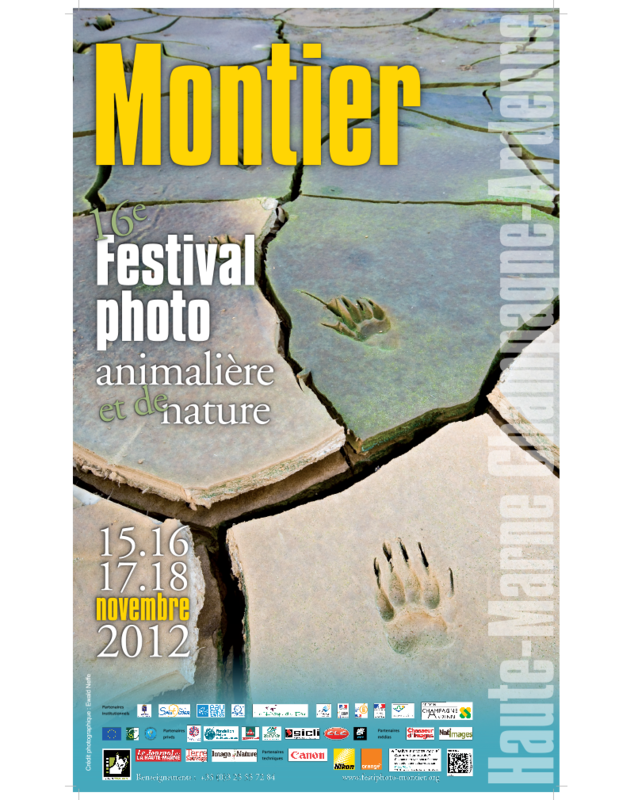 « Life Size Animals » by Christine and Michel Denis-Huot. 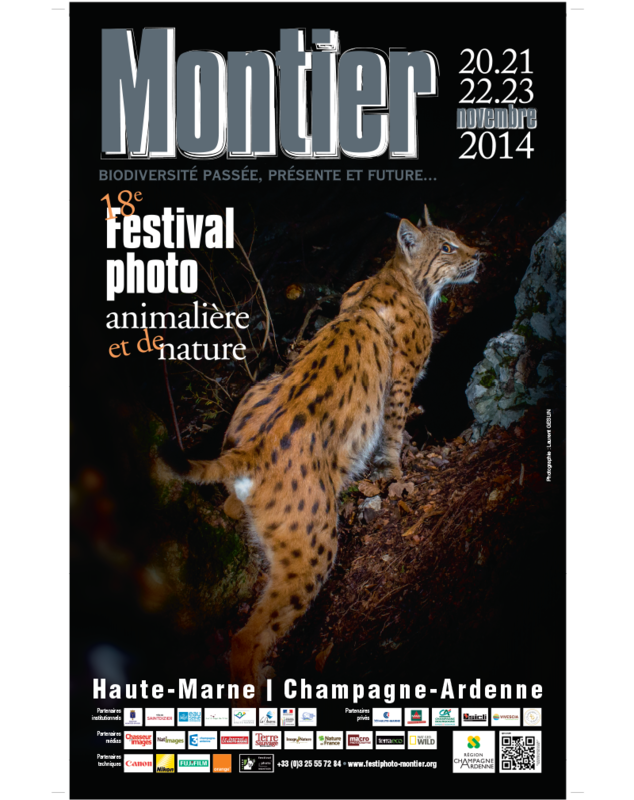 A new venue specially designed for photo equipment and optics at the sports centre in Giffaumont-Champaubert. « Volcanoes » by Arnaud Guerin. « Alive » by Yann Arthus-Bertrand. 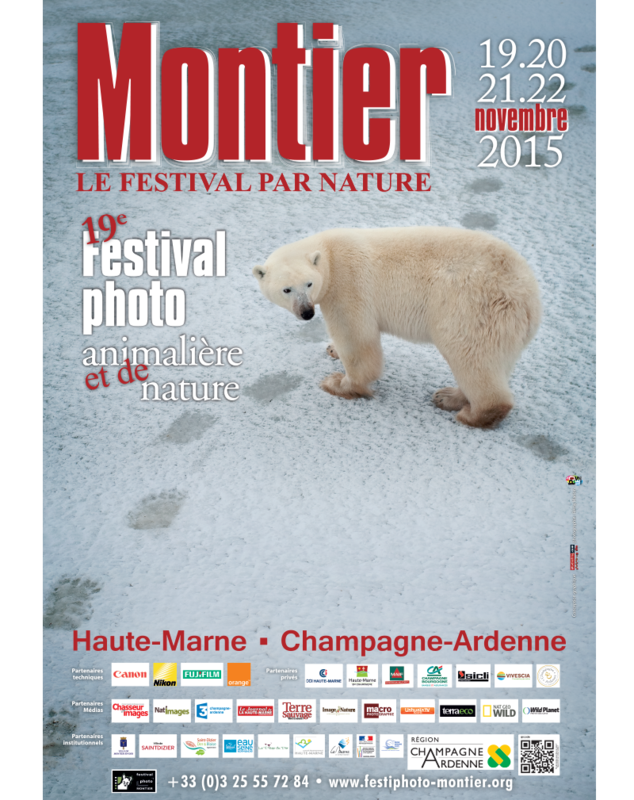 Outdoor exhibition « White Nature » by Vincent Munier at Jardin Linet. « The Dwarf Beeches of Verzy » by Katia Collinet - rising-star guest. The 12 m long and 6 m wide Sarcosuchus Imperator was exhibited at the stud farm and Mongolia was a highlight with a yurt on display. Change from 3 to 4 days of festival. 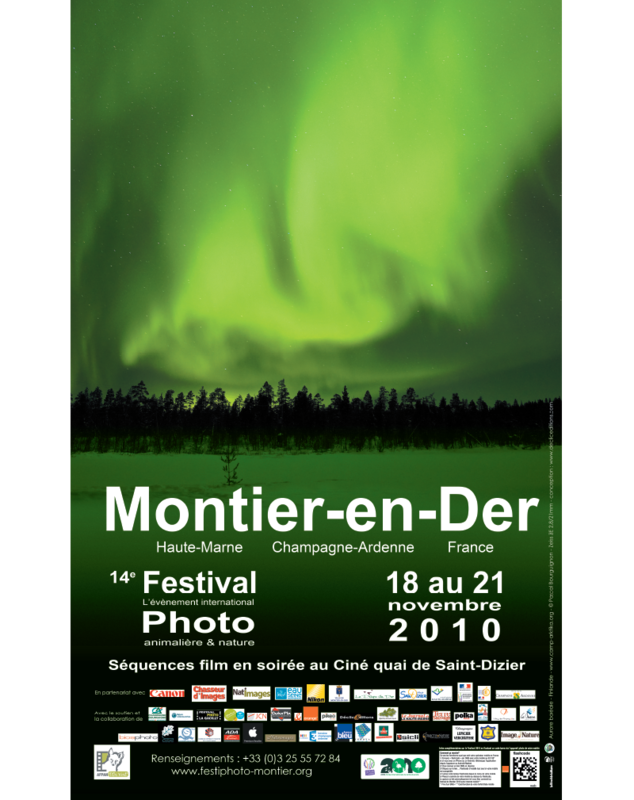 Large format exhibition at the Eastern Station in Paris above the platforms to promote the 2009 festival. New Venue Youth marquee - a 400 m2 specially designed area for children activities. 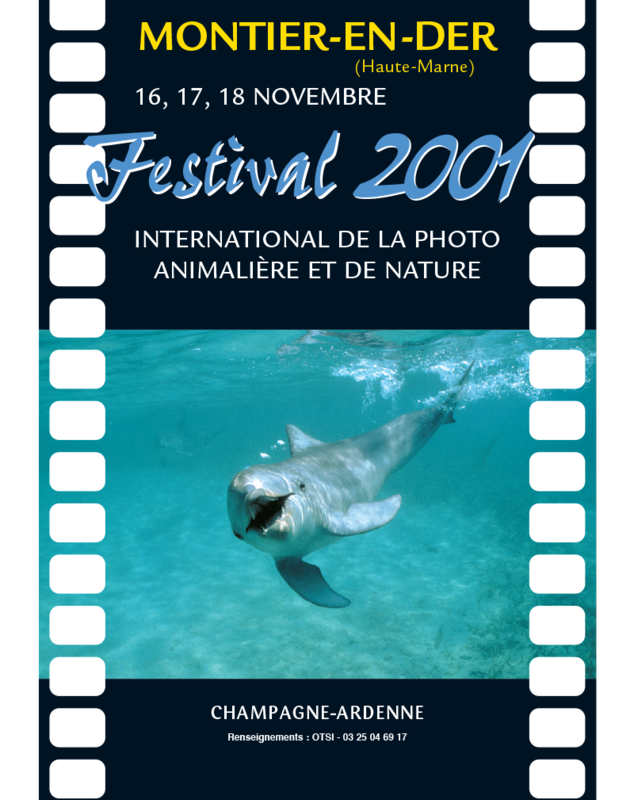 Evolution of the Photo Competition The Festival’s photo competition goes digital. 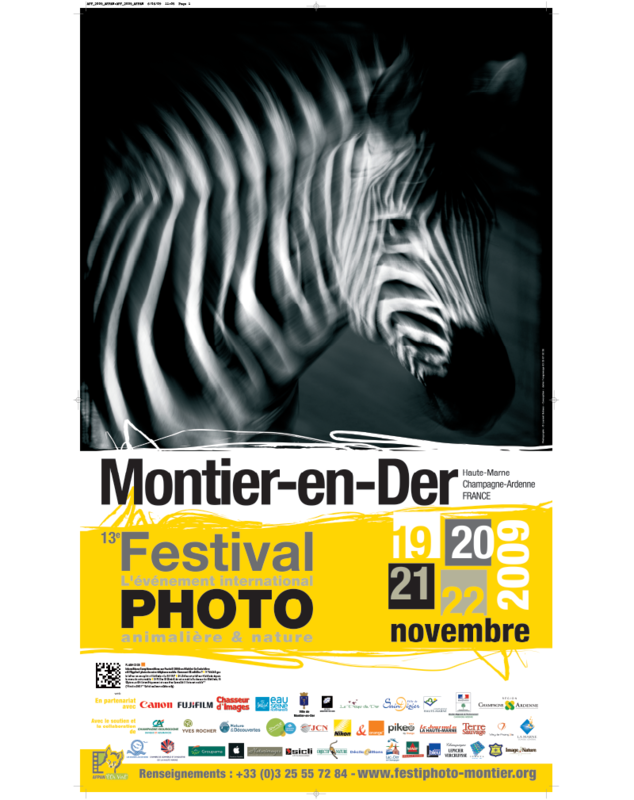 Son et lumière at the abbey-church of Montier-en-Der and the outdoor exhibition « Nomad Spirit » by Tiziana and Gianni Baldizzone in the church square. « Images of an Inner Journey » by Matthieu Ricard. 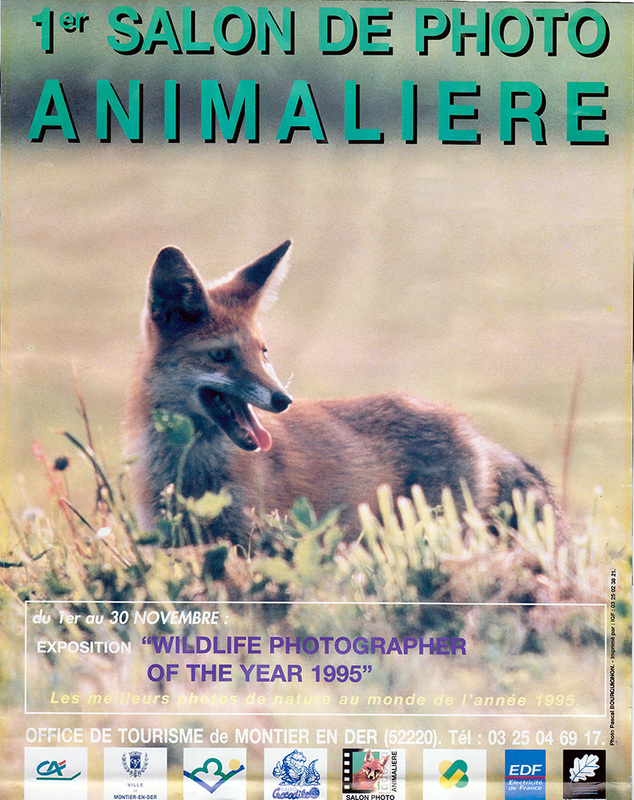 Back-lit panel exhibition of the « Wildlife Photographer of the Year » competition. « Savannah a Grass Ocean » by Christine & Michel Denis-Huot with their two Masai guides. 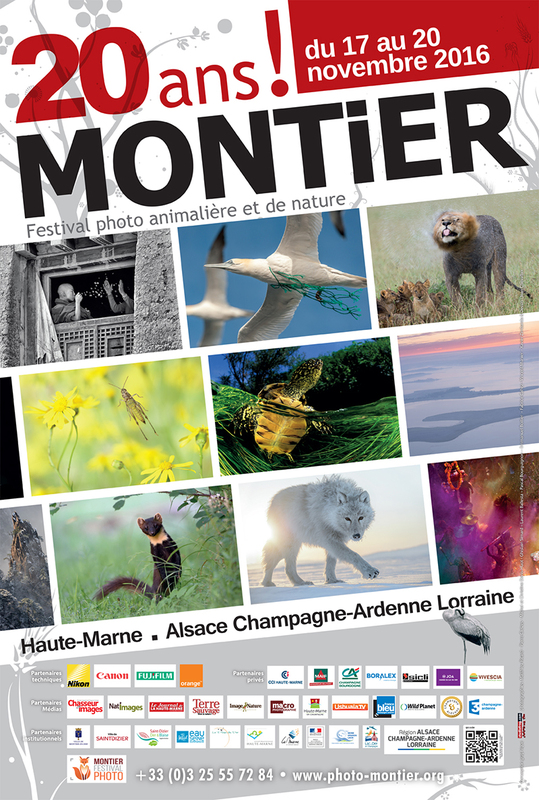 Photographic happening by Gilles Martin « 2027 - Memories of a Silverback » and the exhibition « Solitudes » by Vincent Munier. 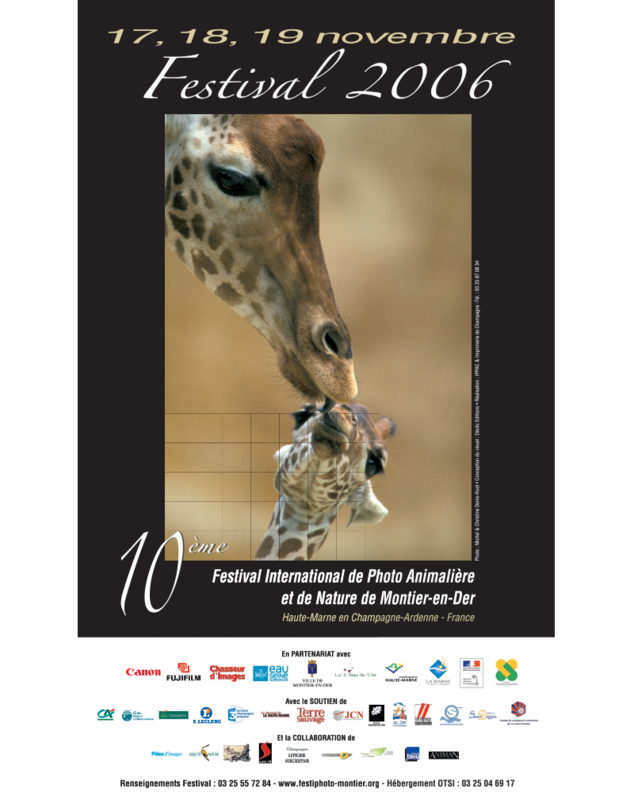 Talk by Yves Coppens at the Fuseaux theatre in Saint-Dizier and the life-size skeleton of a Tyrannosaurus rex on display at the COSEC along with the photo exhibition « Past, Present and Future Biodiversity » by Cossima Production. The website, competition and exhibitors platforms are revamped. New logo. 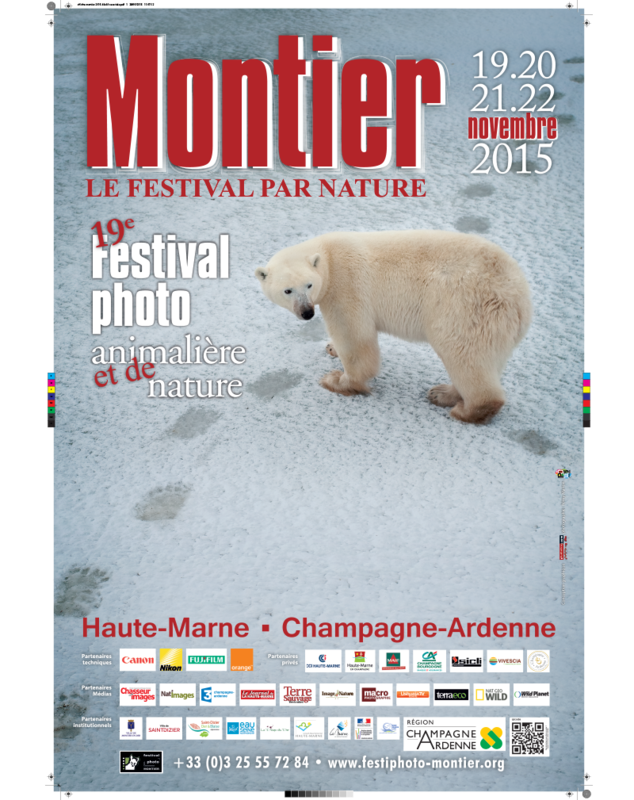 Triple patronage for the 20th anniversary of the Montier Photo Festival. New talks and debates venues - Agora at the venue COSEC and the Forum area at Chapiteau. 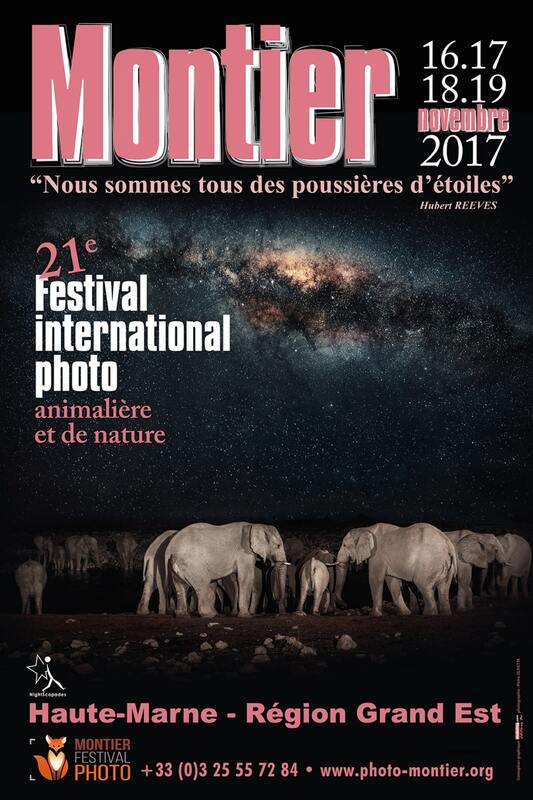 A Festival within the Festival with the first edition of the NightScapades - International Festival of Astrophotography and Nightscapes organized by the association Chasseurs de nuit.